The Senate Environment and Communications Committee last night refused permission to table this document, but we’ve a copy for you right here! It has all the details on when the NBN’s infrastructure build will commence in your area, and when the service will to be ready for use. It will also tell you the type of NBN you can expect to have in your suburb. 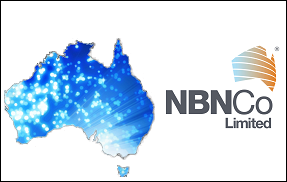 The government tried to block the release of this document to the public, but it’s available to the various companies re-selling NBN service and we’re able to also make it available for you! If you’re looking at buying a business premises and the internet is important to your organisation, I’d highly recommend checking out the document above first. Have you been sent a fake invoice? Does Your Name Break Computers? Tim was very professional and re-connection went smoothly. Look forward to further contact, and sorting out BCM data extraction soon. Thanks also for new machine details which will help to move us forward.